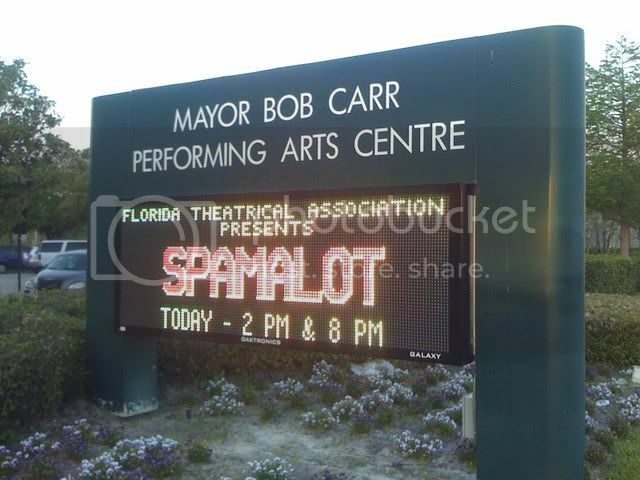 Spamalot | The Gab Lab! Today is a guest blog from Peter. Oh, where is the blog that goes like thisss? We’re actually going tomorrow, I can’t wait! Gab note: Actually managed to get tickets and I am also very excited to go. I like this kind of thing, it’s a nice change of pace and I feel like a “grown up” getting out to a play.